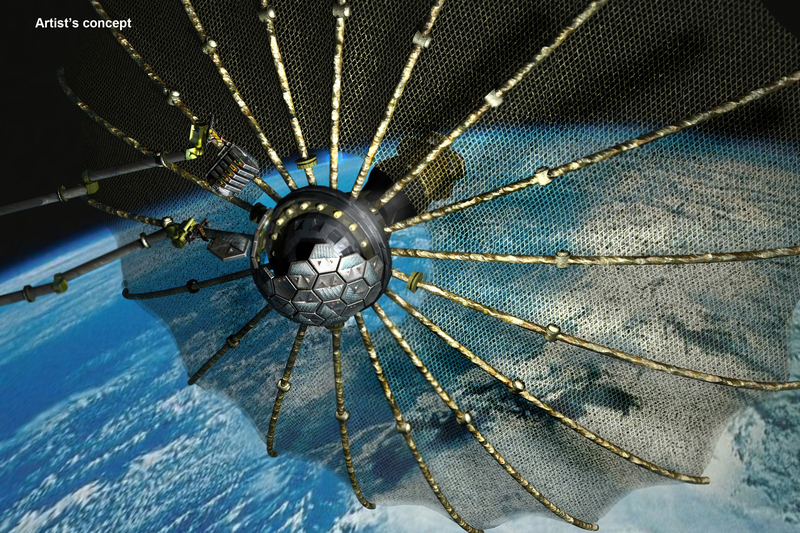 Conception of repurposed orbital debris under DARPA’s Phoenix program (Credits: DARPA). Secure World Foundation released the following announcement on July 23, 2012. On-orbit servicing (OOS) and active debris removal (ADR) are part of an emerging category of future on-orbit activities that are critical for taking the next leap in our use of Earth orbit. The ability to repair or refuel satellites, construct new satellites in orbit, and even remove orbital debris can help drive innovative uses of space and create new possibilities. These activities also raises a host of diplomatic, legal, safety, operational, and policy challenges that need to be tackled for this future to be possible. On June 26, 2012, the U.S. Defense Advanced Research Projects Agency (DARPA) held a conference on “Fostering Sustainable Satellite Servicing” in Washington, D.C. that served as an excellent beginning for this conversation. To continue the discussion, Secure World Foundation (SWF) will be holding two follow-on international conferences to bring in the perspectives and viewpoints from all stakeholders on issues of on-orbit servicing and active debris removal, extending the conversation to an international audience. In partnership with the Institut francais des relations internationales (Ifri), SWF will hold a conference in Brussels, Belgium on October 30, 2012 to bring these discussions to the European community. SWF is also partnering with the Singapore Space and Technology Association (SSTA) to hold another conference in Singapore on February 20, 2013 to extend the dialog to the Asia-Pacific region. Details on the events, including venues and registration, will be posted to the events section of the SWF website (http://swfound.org/events) in the coming weeks. If you would like to be notified when these details are available, please subscribe to the SWF RSS news feed (http://swfound.org/news/rss).